Selling or buying a new house – 45% of buyers would be put off by an old heating system. Unsurprisingly many buyers also state that their biggest want in the home they buy is a modern boiler. This is down to a buyer seeing an old boiler and thinking that the boiler is unreliable, inefficient and likely not very environmentally friendly – and that it will probably need replacing soon after they move in any way! Here are a couple of benefits you (& any future buyers) would see with the installation of a new boiler from Buxton Heating. No breakdown worries, for a good many years! No expensive parts or pricey repair jobs. A more efficient boiler model. This means that the boiler will use fuel more efficiently so that less fuel and heat is wasted when heating your home. Expect lower fuel bills with an efficient boiler. Less harmful pollutants with newer boilers, of all varieties. Better heating controls in newer boilers. You can use these to heat your home intelligently to save even more money. If you boiler is 15 years old, or more, then you would notice a considerable difference by upgrading. Contact us via the website or by calling for a free estimate. We will visit your property, assess your central heating and advise on what would be required to upgrade, we would provide you with a comprehensive estimate detailing the work required and the costs involved. 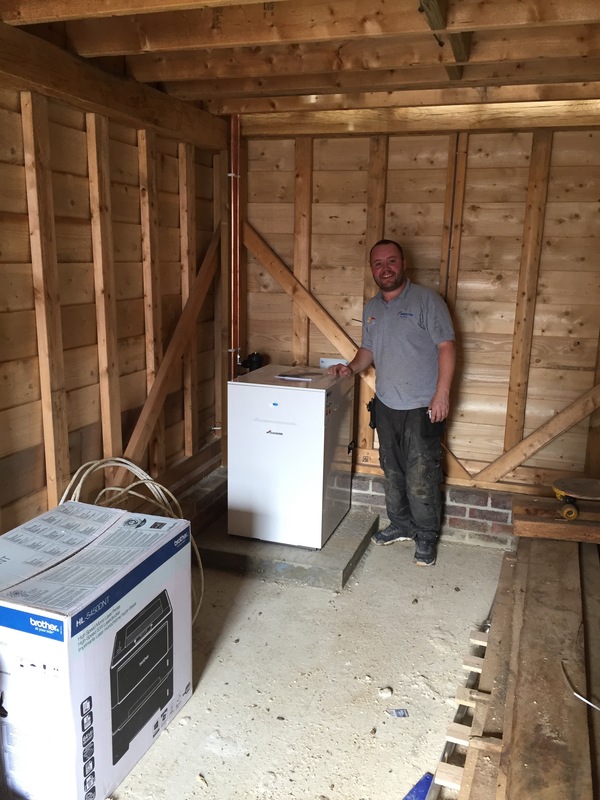 All our Worcester Bosch boiler installations come with a minimum of 5 years full parts and labour warranty, these can be extended up to 10 years depending on the items specified. As well established Worcester Bosch accredited installers we can offer a longer warranty on boilers installed by us and are fully up to date with their latest products and literature.